A full Dutch Netherland Antilles Caribbean Sailing Itinerary is for the more adventurous. These islands are further apart than those of the Virgin Islands or Grenadines and the closest airport to fly into to meet your yacht is St. Maarten, so be prepared for some voyages that are as long as 8 hours. If you love sailing, you will get your fill. And when you arrive on these remote islands, you will be in for some treats that the average tourist will never experience. If you are looking for unspoiled nature, reefs and island culture that is truly off the beaten track, this itinerary will thrill you. Day 1: Board the yacht in Dutch St Maarten. Sail or motor to your anchorage at Baie de Marigot and spend a lovely afternoon and evening enjoying your yacht and the warmth of the Caribbean. eak rises to great you on the horizon. 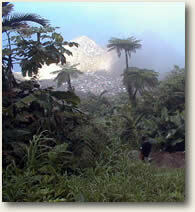 Only modestly touristed, this is an island for a cultural and eco adventurer. Upon your arrival you can enjoy a snorkel around Ladder Bay. You will immediately see why Saba is a protected Marine Park and why it is one of the most famous dive locations in the Caribbean. 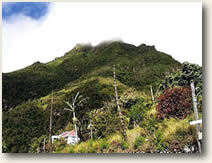 Day 3: Enjoy the island of Saba ashore. Climb Mt Scenery, visit the small local villages, and meet the extremely friendly people of Saba who are descended from hardy 17th century pioneers. Day 4: Step back in time again and visit more of this special place that at times will seem lost to the modern world or revel in its preserved nature on land or in the water. Dive and snorkel again because you will likely want to. Day 5: You will not want to leave Saba, but there is more Dutch Antilles to explore, so off you sail to Sint Eustatius or Statia for short. This is a good sail tacking to weather for around 6 hours, but you will be exhilarated and have some peaceful time for quiet contemplation as you feel the fresh breeze in your hair. Also, on the way over Saba Bank you have a good chance of catching a Tuna for your dinner. Perhaps some sushi when you arrive at Statia. 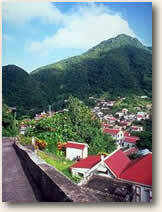 Day 6: Wake up this day to the stunning Statia. In one day you can easily climb the crater of the volcano ‘The quill’ and visit the village Oranjestad and her historical museum. When standing on the rim of the crater you will see a path going down into the crater. Follow this path to the jungle forest for a lush treat. If you love to dive, you will want to see what Statia has to offer under sea as well. Day 7: Sail back to St Maarten and delight in your last night with a delicious meal on your private yacht. This itinerary is easily extended for a few more days to visit the exquisite islands of St. Kitts and Nevis or spend time enjoying St Bart’s, the French island 25 miles east of St Maarten or take a jaunt to Anguilla, for a more laid back island experience.